New to river cruising? Here are some tips to consider for first timers! River cruises present a diverse offering of destinations, excursions, and experiences, in a more intimate setting that ocean cruises. Never been on a river cruise before? 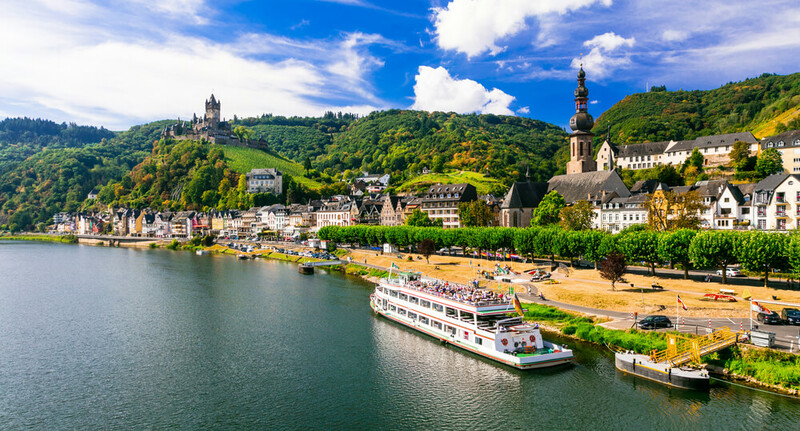 Our river cruise travel tips can help you decide on the cruise that will meet expectations, whether you’re interested in culture, cuisine, history, medieval castles, exotic destinations, or just beautiful European scenery! It’s important to learn how to dress for a European river cruise, and our river cruise tips and tricks will tell you what you need to know about packing for your trip. Is River Cruising for You? Before you book a river cruise, it’s important to know if this type of cruise is something you can really enjoy. Do you have any physical limitations that would interfere with your ability to enjoy the many walking tours that are part of your cruise? A great number of the streets in the towns and cities you visit will be cobblestone. This can create extremely difficult navigation problems for persons using wheelchairs, walkers, and scooters. Let's face it - I love NCL. We have had 3 cruises w/ ya'll and recommended it to friends also... so I am a walking advertisement. We are seniors so I'm always looking for a really good deal. — Betty D.
If you suffer from knee, hip, or heart problems, you may find all the walking on the included excursions is difficult for you. Let your mobility be your guide. If your mobility is just slightly limited, but you can walk along on a “gentle walking” tour, consider a cruise that offers them. A walking stick or cane may be helpful for a little extra confidence on uneven cobblestone surfaces. At CruiseExperts.com, we can help you find the European river cruise that falls within the physical limitations you have, or we might recommend a different cruise that can meet all your physical needs. Click here to browse our river cruises! The Danube River is one of the most popular for cruises and certainly a perfect choice for first-time river sailing. Cruising the Danube provides access to many of Europe’s exceptional cities, such as Nuremberg, Passau, Linz, Vienna, Budapest, and Bratislava. You’ll also visit charming and quaint villages with cobbled streets, taste local wines, visit medieval towns, and see ancient fortresses and castles. These are some of the reasons we suggest the Danube to new river cruise travelers. Of course we are more than happy to book your cruise for the Rhine, Seine, Moselle, or other river that appeals to your desires.